We have an exciting opportunity to join a successful, thriving and modern thinking Legal 500 firm. 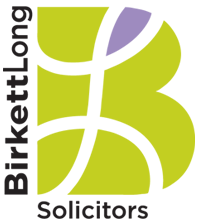 Based in Essex with offices in Basildon, Chelmsford and Colchester, Birkett Long are seeking an enthusiastic Solicitor/Legal Executive with experience in all aspects of Family Law to join the Divorce and Family Team in the Colchester office. You will be part of our busy and highly regarded team which provides specialist advice and guidance to our clients through the entire divorce and separation process (including Collaborative Law) and all aspects of living together. The ideal candidate will have experience in handling and managing their own caseload, appropriate to their level of experience and the ability to deliver succinct, high quality advice with excellent client and team communication skills. The role will involve marketing and business development and therefore the ideal candidate must be flexible enough to work outside normal office hours when required and preferably have their own vehicle as well as a clean driving licence. Birkett Long focuses on people – our clients, our employees, our business partners and those in our local communities and we invest in our people, offering genuine career progression for the right candidate. If you feel you have the skills we are looking for then please get in touch. Birkett Long solicitors are redefining what it means to be a lawyer. Based in Essex, with offices in Chelmsford, Basildon and Colchester, Birkett Long is focused on people – our clients, our employees, our business partners and those in our local communities.